4Shadows Books is (mostly) a specialist in mysteries, thrillers, and historical mysteries - First Editions by popular and/or award-winning authors, particularly their earlier works, many signed by the author. 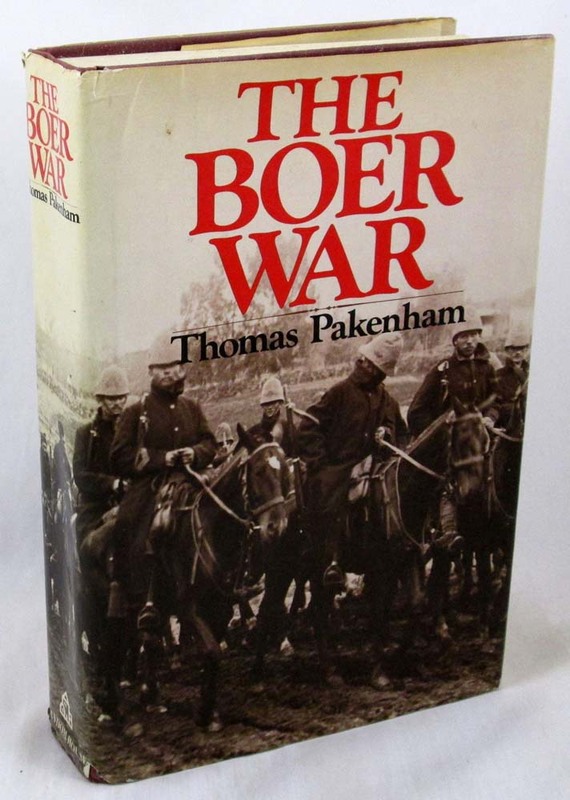 In the case of scarce titles, a later printing of the first edition or even (egads!) a Book Club Edition may be offered. These will always be clearly identified in the description. In non-fiction, my areas of interest are primarily history and biography. My philosophy is to offer desirable books at competitive prices, accurately described, conservatively graded, securely packaged for shipment, and guaranteed to arrive as described. Questions are welcomed, feel free to call or email. Note: Some inventory is stored at an Amazon warehouse, almost all of those are shrinkwrapped before sending to the warehouse. These can be purchased here and I will arrange for delivery from the warehouse. My feedback on Amazon can be viewed here. Check my current offerings on eBay. A random selection from our inventory is shown below. A refresh will show a new batch of random titles. Description: Previous owners blindstamp seal and inked name/date to ffep, no other marks and otherwise about like new. Clean hardcover with square binding and corners. Dustjacket with very little wear, in mylar cover. No price on unclipped flap: full-sized Book Club Edition. NY: Random House, 1997. xvii, 663 pages; maps, photo plates, endnotes. - - Wrapped, boxed and promptly shipped with tracking provided. Description: No marks inside or out. Clean hardcover with square binding and corners; slight push to front hinge, light foxing to top and fore edges. 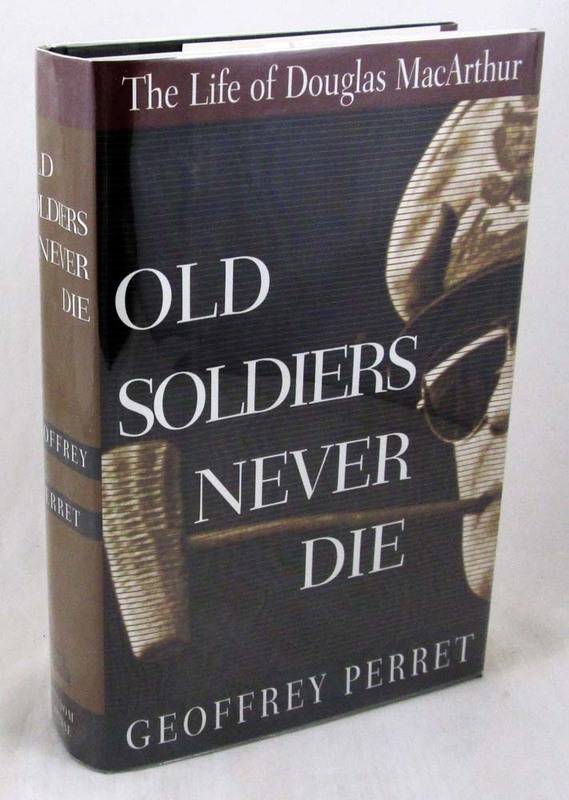 Unclipped dustjacket with light wear including small tears to the spine ends. NY: Random House, 1979. 4th printing. xxxi, 718 pages; maps, b&w photo plates, bibliography. - A comprehensive documentary narrative of perhaps the most costly and embarrassing British War prior to 1914. - - Wrapped, boxed and promptly shipped with tracking provided. Description: Previous owners blindstamp seal to ffep, no other marks. Clean hardcover with square binding and corners. Dustjacket with light wear mostly to the corners and spine ends, in mylar cover. No price on unclipped flap, stated Book Club Edition. Annapolis: Naval Institute Press, 1981. xi, 257 pages; illustrations, photos and diagrams scattered throughout, map endpapers. - The definitive account of the controversial June 1944 Battle of the Philippine Sea, better known as the "Great Marianas Turkey Shoot." Told from the viewpoint of fliers and sailors on the firing line, the reader is led through every stage of the battle. - - Carefully packed and promptly shipped with tracking provided. Description: Previous owners blindstamp seal and inked name to front endpaper and front flap, no other marks. Clean hardcover with square binding and nudged top corners. Dustjacket with light wear, in mylar cover; no price on unclipped flap, stated Book Club Edition. NY: Alfred A. Knopf, 1984. - From the author of "Primary Colors," the critically acclaimed true story of five Marines who fought together in a bloody battle during the Vietnam War, barely escaping with their lives, and of what happened when they came home. - - Carefully packed and promptly shipped with tracking provided. Description: Previous owners blindstamp seal to ffep, no other marks and otherwise almost like new. Clean hardcover in brown cloth with white lettering to spine and front cover; tight square binding and barely nudged corners. Jefferson, NC: McFarland & Company, 1997. 257 pages; illustrated. - - Carefully packed and promptly shipped with tracking provided. Description: Not pretty. Library discard in rough shape, front free endpaper removed, leaving a weak front hinge. Library markings to which the previous owner added their blindstamp seal, old tape on the mylar cover has stained everything it touched. That said; all text pages are present, very clean and unmarked, the unclipped ($4.50) jacket has a Dewey label, otherwise very nice and still in library issue mylar cover. NY: New American Library, 1967. 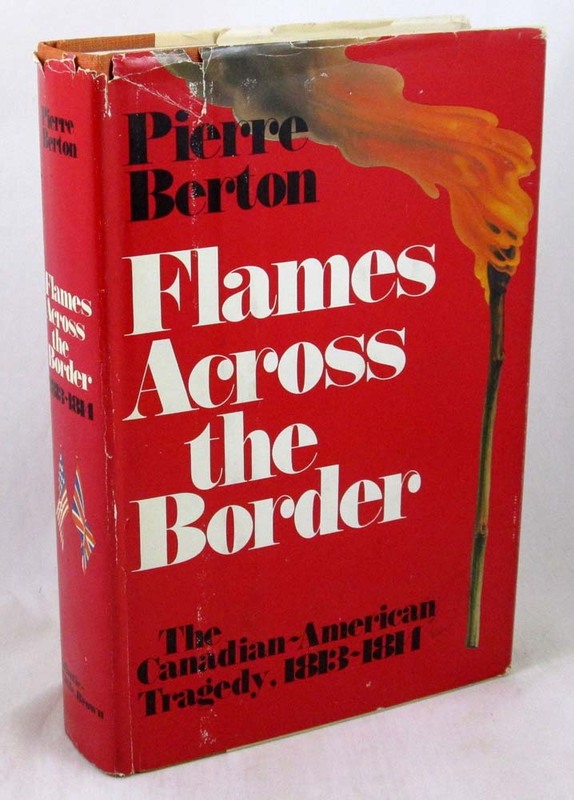 First Edition, stated First Printing. 199 pages. - From the flap: "Commissioned by Esquire magazine to follow a US Army infantry company (M company by designation) from basic training through its first armed engagement in Vietnam, the author chose not to play the detached observer. Instead he entered into the life of the company with a depth of involvement that later was to be reflected in every word he wrote." - - Carefully packed and promptly shipped with tracking provided. Description: Black line to the bottom edge, no other marks. Clean hardcover with square binding and one barely nudged corner, a shallow dent also to the bottom edge of the back board. Price-clipped dustjacket with very light wear, no tears. NY: Free Press, 1995. First Edition with full number line, 1st printing. x, 525 pages. - O'Reilly, whose "Racial Matters" blew the lid off the FBI's investigation and harassment of black leaders, now scrutinizes each president's record on race. 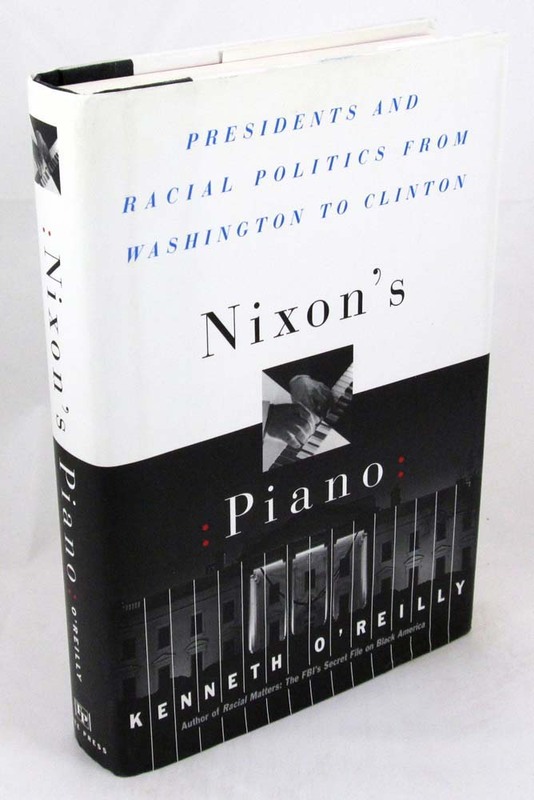 Nixon's Piano reveals that instead of being the agents of progress in racial relations, American presidents have a long and consistent history of supporting slavery, obstructing civil rights, and deliberately fanning racism. With the exceptions of Abraham Lincoln and Lyndon Johnson, argues O'Reilly, every president has sacrificed black rights for white votes. - - Wrapped, boxed and promptly shipped with tracking provided.